I have been using the same sandwich bread recipe for a year now, and I decided it’s time to try out a new one. Not that anything is wrong with the old one, it’s just that I want to experiment. 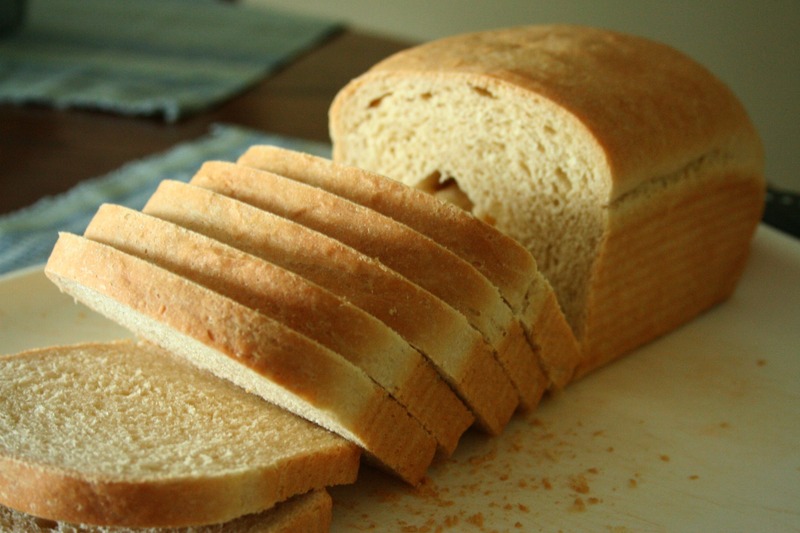 It’s a basic white bread recipe that is easily veganized (if that is a concern of yours) by substituting your preferred unsweetened milk substitute (ie. almond milk). For this I’ll use a combination of half and half and 1% milk – why not? I’m debating if I should use AP flour as the recipe suggests or a combination of bread flour and white whole wheat like I use in my other recipe. I decided to go with my usual combination of bread/white wheat flour for this, because my conscience gets the best of me. I might as well sneak in extra fiber where possible for my family. The great thing about this combination is that it’s never too “wheaty” for us – if that makes sense. Verdict: Yum! This has a mild and subtle flavor, slightly sweet with a nice crumb, and its soft, but not too soft – perfect! I will double the recipe next time for sure and I will continue to try new recipes for basic sandwich breads cause I’m a food geek and it’s fun for me! 🙂 Thanks for reading, enjoy! Mixing: In a large bowl, combine all of the ingredients and stir till the dough starts to leave the sides of the bowl. Transfer the dough to a lightly greased surface, oil your hands, and knead it for 6 to 8 minutes, or until it begins to become smooth and supple. (You may also knead this dough in an electric mixer or food processor, or in a bread machine set to the dough or manual cycle). Transfer the dough to a lightly greased bowl, cover the bowl, and allow the dough to rise till puffy though not necessarily doubled in bulk, about 1 to 2 hours, depending on the warmth of your kitchen. Shaping: Transfer the dough to a lightly oiled work surface, and shape it into an 8″ log. Place the log in a lightly greased 8 1/2″ x 4 1/2″ loaf pan, cover the pan loosely with lightly greased plastic wrap, and allow the bread to rise for about 60 minutes, until it’s domed about 1″ above the edge of the pan. A finger pressed into the dough should leave a mark that rebounds slowly. 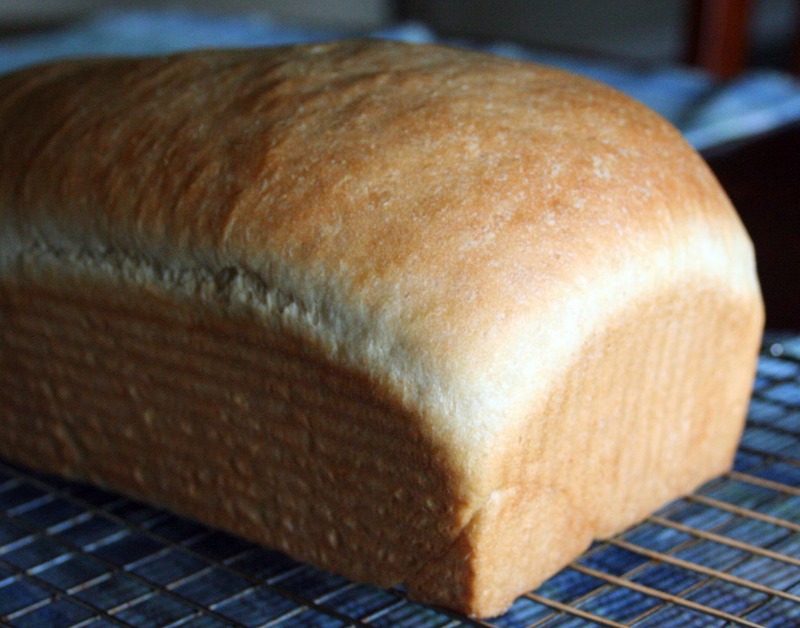 Baking: Bake the bread in a preheated 350°F oven for 30 to 35 minutes, until it’s light golden brown. Test it for doneness by removing it from the pan and thumping it on the bottom (it should sound hollow), or by measuring its interior temperature with an instant-read thermometer (it should register 190°F at the center of the loaf). Remove the bread from the oven, and cool it on a wire rack before slicing. Store the bread in a plastic bag at room temperature. Yield: 1 loaf.